Hi friends! 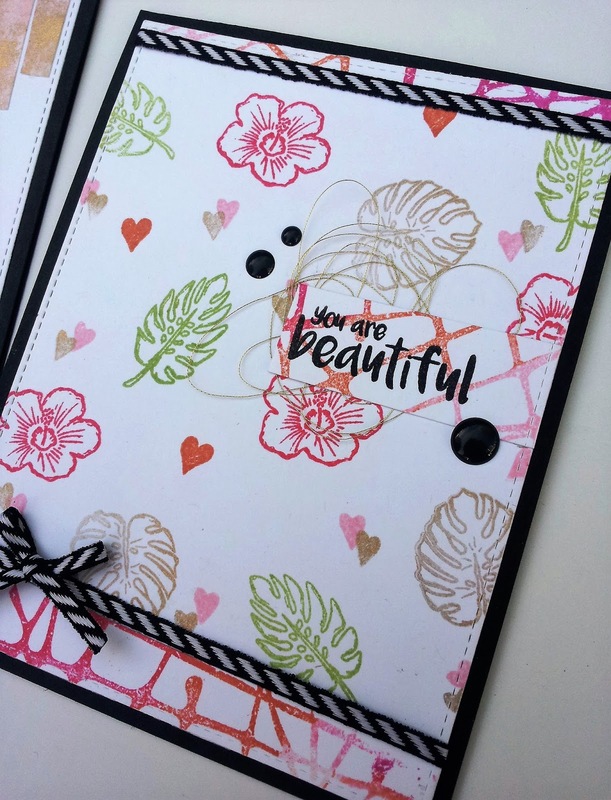 Happy Saturday and Happy National Scrapbooking Day (if you celebrate)! Today I have a card to share with you. I had fun with a new stamp set I got called Flamingo Party. 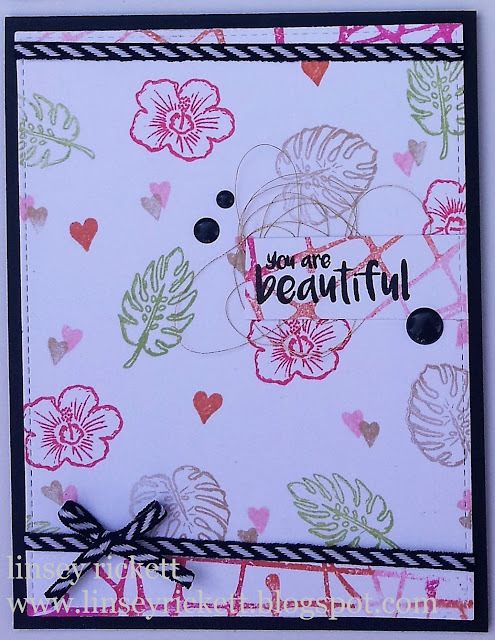 I made my own background with different stamps and inks and added some fabulous Really Reasonable Ribbon in a unique way. I hope you like it! 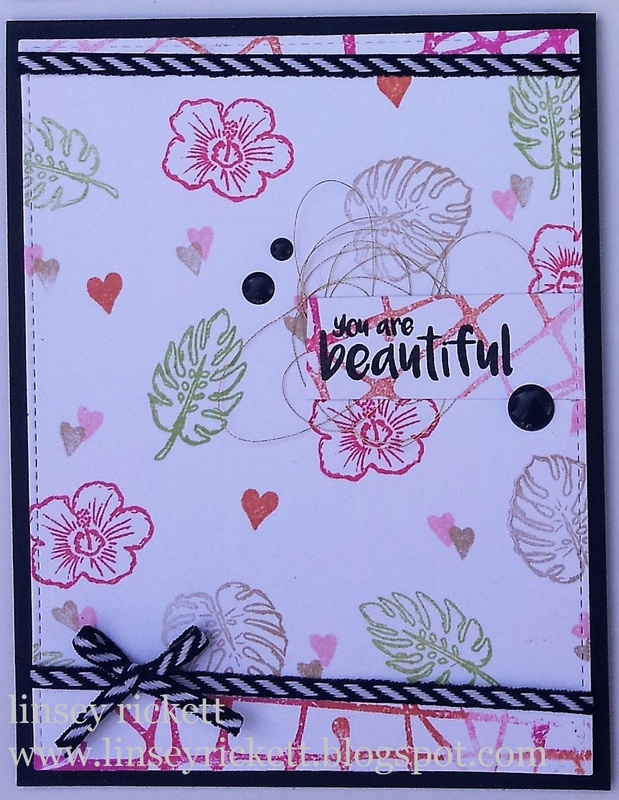 I used one of my very favorite ribbons, the 1/8" Diagonal Stripe Ribbon in Black/White to adorn the top and bottom of the card. 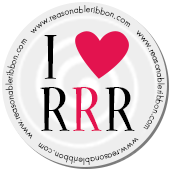 This ribbon is super versatile and seems to coordinate with just about everything. Love it! Thanks so much for stopping by today! I hope you've found a bit of inspiration in my card. Happy crafting!